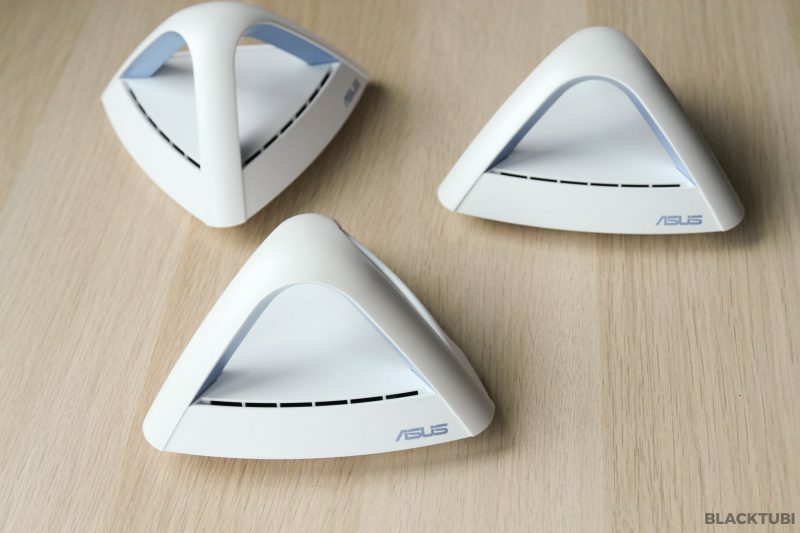 Asus Lyra Trio is the latest mesh WiFi system from Asus. The Lyra Trio is an improved version over the original Asus Lyra which they launched around 2 years back. Asus gathered their experience with the original Lyra and released the Lyra Trio with a totally different hardware design. The Lyra Trio is probably the prettiest mesh wireless kit in the market with the pyramidal design. The design is also a feature as the antennas are actually embedded in the edge for better signal coverage. The LED indicators looks really cool but they can be turned off if required. We also notice that the Lyra Trio is wall mountable although Asus do not include any mounting screws. Asus is selling the 3 pack and 1 pack in Malaysia but we will be looking at the 3 pack unit as a mesh system today. A mesh WiFi system are a set of devices capable of creating a mesh WiFi network. Like the Lyra Trio, it is a pack of 3 devices. Think of a Mesh WiFi system like WiFi repeaters on steroids. 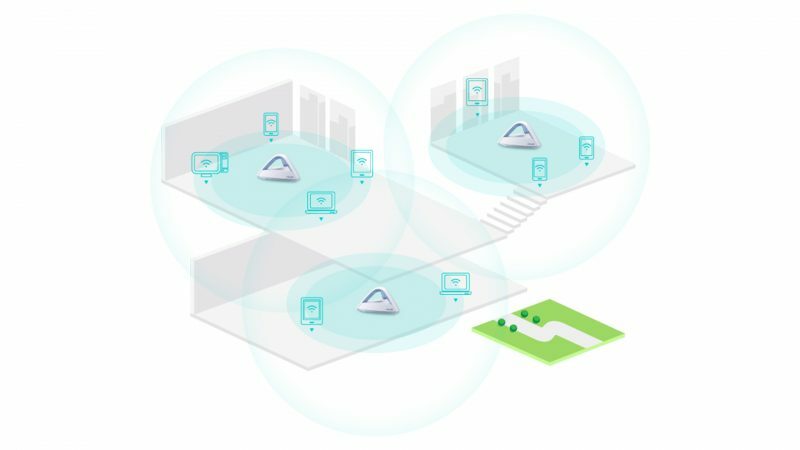 The Mesh nodes will communicate to each other over a wireless connection then, together, they broadcast a WiFi signal to expand the WiFi coverage. It has many advantages over WiFi Repeaters such as better performance due to intelligent routing and better stability thanks to faulty link failover and self healing. Some Mesh WiFi system in the market even support seamless roaming so your devices will not drop packet as they roam around the Mesh nodes. 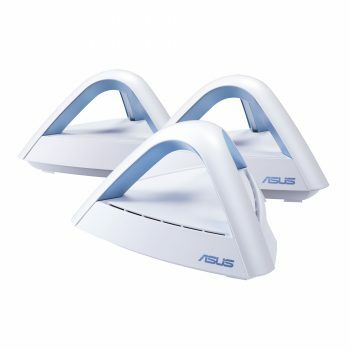 Asus actually changed to a dual-band setup compared to the original Lyra. Although, there will be no longer a dedicated band for backhaul, the change may not be as bad as it seems as the Lyra Trio is 3×3 tri-stream capable. 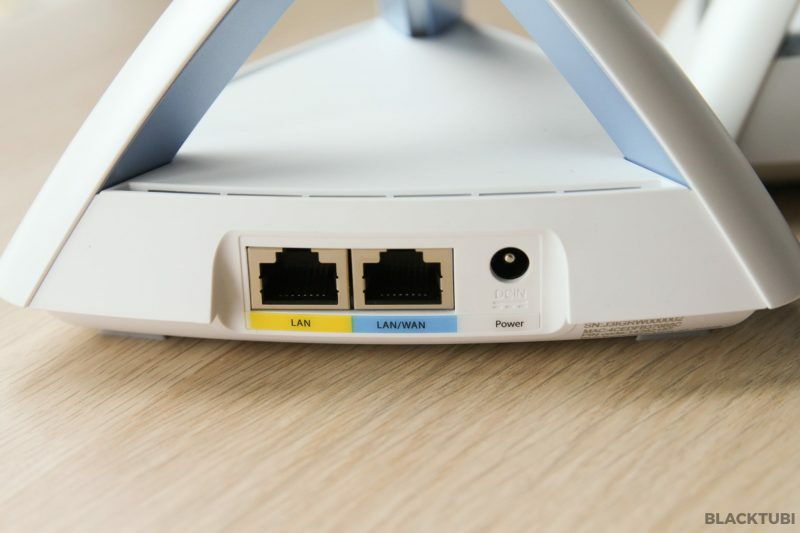 The maximum single band performance is improved to 1300Mbps over 867Mbps on the Lyra. We should see how well it performed in our testing later. There are only 2 Ethernet ports on the Lyra Trio and they are labeled. It is powered via a 12v power brick. There are 2 ways to setup the Lyra Trio. You can either use the Asus Lyra app or the web interface. We recommend using the web interface for initial setup as it is more reliable than the app. You start by just turning on the main unit and connect to the WiFi of the device. The WiFi name is printed below the Lyra Trio and you cannot use LAN for initial setup. Once connected, you can navigate to 192.168.72.1 and you should see the setup interface. The setup wizard is easy and simple to understand. 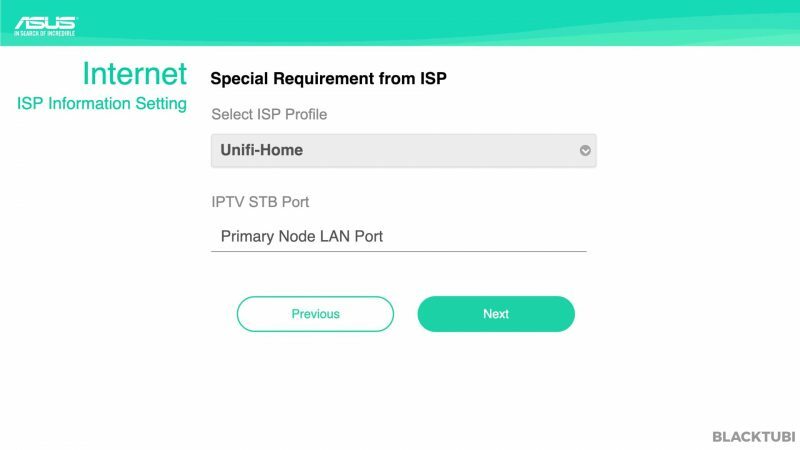 Do remember to tick additional ISP information and select the Unifi-Home profile if you use Unifi. 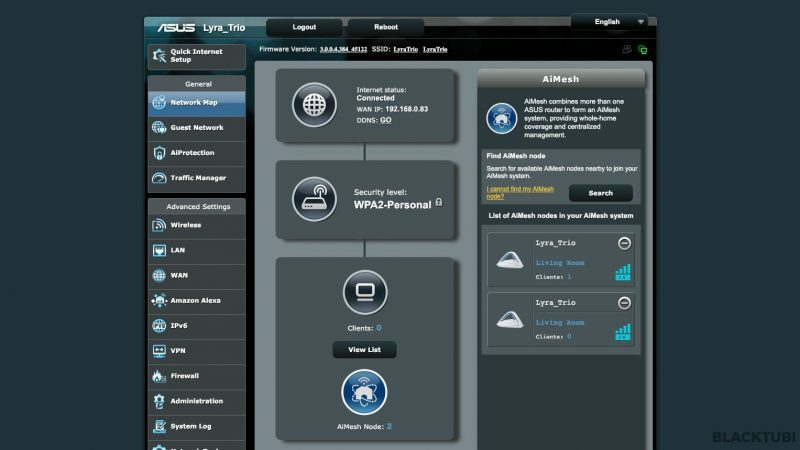 You can refer to our Asus Lyra Unifi setup guide here. 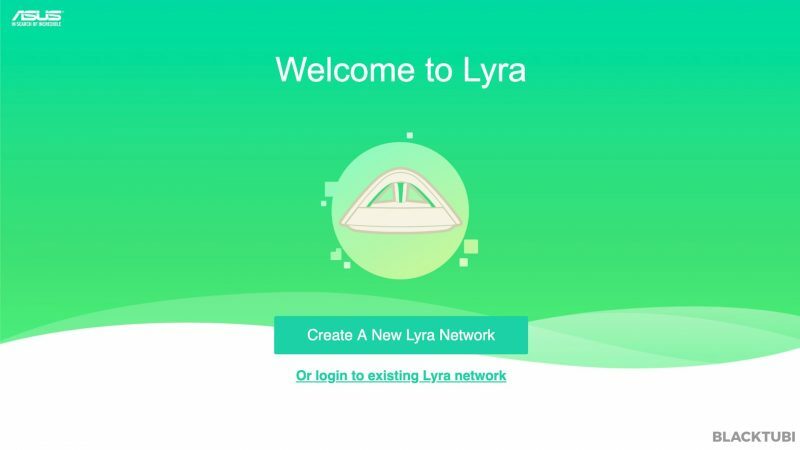 Once the setup wizard is completed, we suggest using the Asus Lyra app to add the remaining 2 nodes to the mesh system. Asus Lyra is compatible with TM Unifi with HyppTV working. It is also compatible with Maxis Fibre and TIME. No profile is required if you use TIME. There are 2 ways to manage the Lyra Trio either by using the app or the web interface. 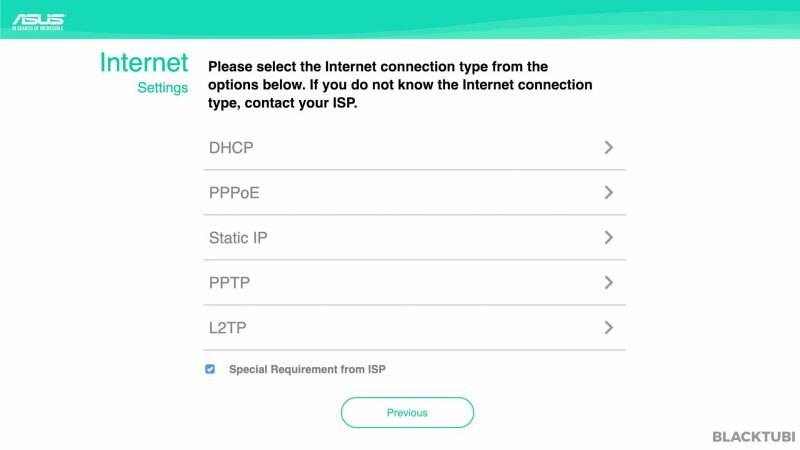 In our test, we prefer the app as certain options are not available on the web interface. The Asus Lyra app is available for both Android and iOS devices. The app is rather functional, you can see all your 3 units of Lyra Trio is the home screen. There are lines between each of the Lyra Trio to indicate the connection quality and you want them to be as close to green if possible. In our testing, we will try to optimize the placement until we achieve the best link indicated by the color as this will result in the best performance. This is something only available on Asus Lyra so credit is given to Asus. 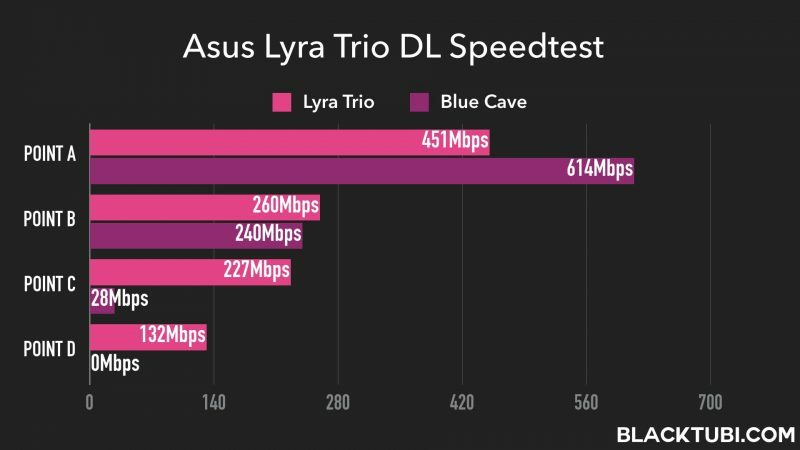 Another thing worth mentioning is the Lyra Trio supports LAN backhaul. The Lyra Trio actually comes with a lot of features and it runs ASUSWRT. But, having more features is a double edged sword as it may bloat down the router. The network is fast and stable but the configuration process is slow and it takes around 5 minutes for the entire network to boot and optimize. We wish all these can be improved on a future software update. Despite all complain on the software, Asus deserved credit for their AiProtection feature. 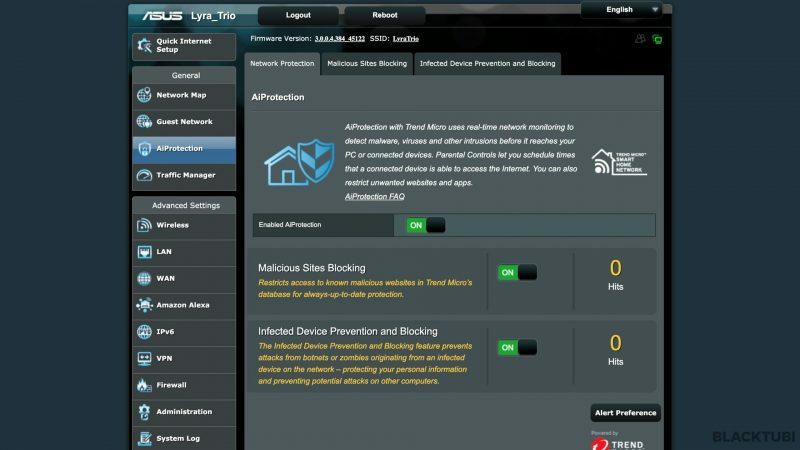 Asus is the first brand to bring semi-enterprise grade Antivirus feature to consumer routers. We suggest everyone enable this feature as this will protect your network and prevent you from accessing a website containing a virus or malware. 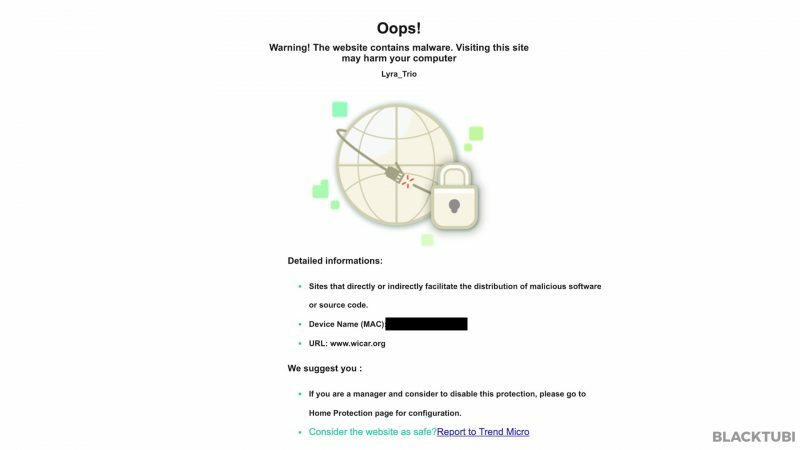 We tested it on a few known malware infected website and the system has successfully prevented us from accessing the website. Apart from all those features that we talked about, another thing the Lyra Trio support is Asus AiMesh. AiMesh is a proprietary mesh standard developed by Asus which allows their routers to work with each other to form a mesh wireless network. If you own any existing Asus wireless router with AiMesh support, you can purchase the single pack Lyra Trio. 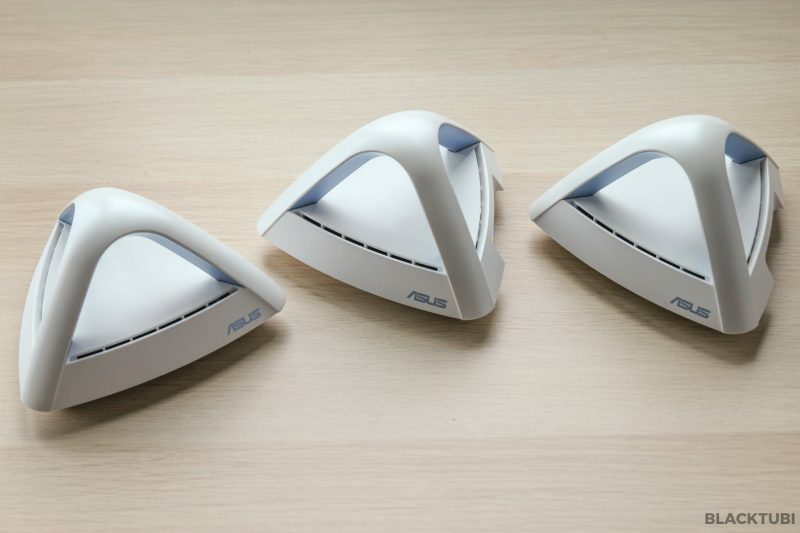 Then, you can form a Mesh WiFi network easily with your existing wireless router thanks to Asus AiMesh. With that, you not only get an improved WiFi coverage, you enjoy all the benefits of a mesh network which include better stability and performance all thanks to AiMesh. But, it is not as straight forward as it requires a firmware update and the configuration is a bit different. We will talk about more details regarding AiMesh on our upcoming article. We think AiMesh is a really game changing concept which let different routers talk to each other in the same language in order to work better. We definitely look forward to more developments in AiMesh. You can refer to Asus’ guide on how to configure the Lyra series for AiMesh here. In our testing with our 1Gbps Internet connection. The CPU on the Lyra Trio is only good up to 800Mbps with AiProtection disabled. We are fine with that as not much people have 1Gbps Internet connection here in Malaysia. In order to test the performance of the mesh WiFi network. 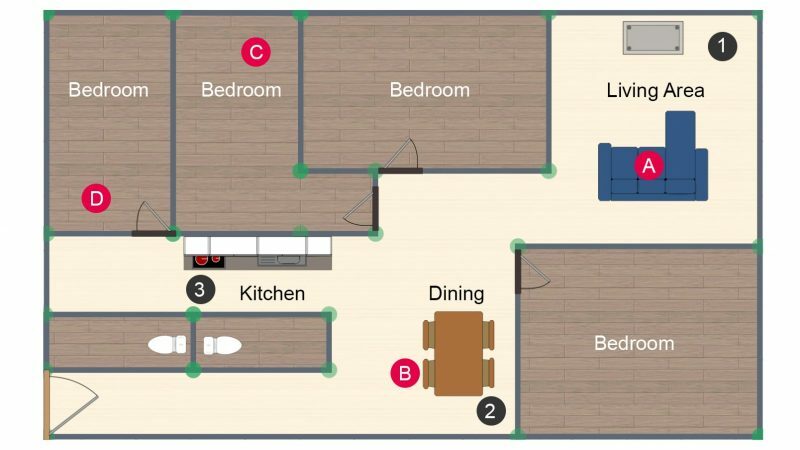 We placed the 3 units of Lyra Trio all around my apartment for the maximum performance according to the diagram below. As you can see, all 3 units do not have line of sight to each other. Then, I used my iPhone and the Speedtest app to see what is the speed when I am in different zones in the house. 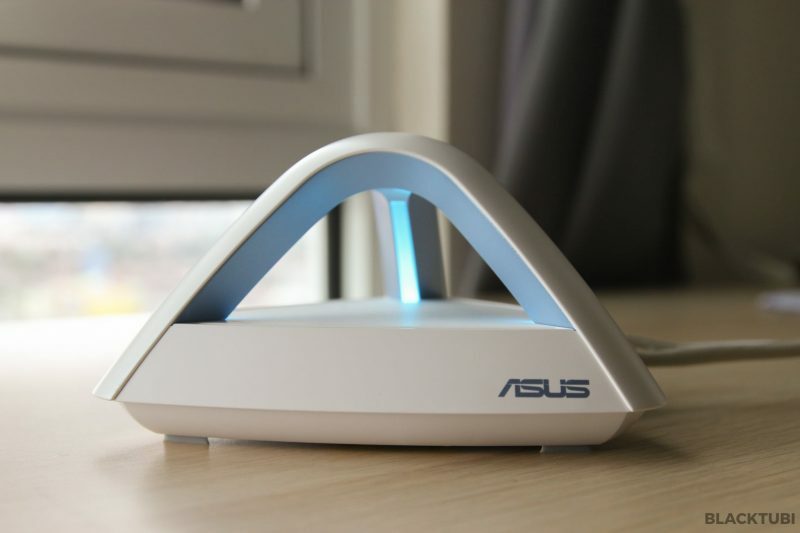 The result is then compared to Asus’ own Blue Cave wireless router. This is an unfair comparison considering the Blue Cave is on it’s own and the maximum WiFi speed the hardware of my phone can reach is around 500Mbps. The Lyra Trio also performs really well in our testing. The WiFi coverage is able to cover my entire apartment with good WiFi coverage. Part of the reasons why my apartment is suffering from bad WiFi is due to the reinforced concrete wall and metal door for all rooms. We do not have the original Lyra for comparison but it is definitely significantly better than that. This shows the benefits and the key advantages of a mesh WiFi system. At close distance, the Blue Cave with a much stronger CPU and WiFi capability clearly demolish the Lyra Trio. But, at longer distances, the Lyra Trio shines due to the Blue Cave limited WiFi coverage as it is a single wireless router. Asus Lyra Trio is significantly improved over the original Lyra. Not only the wireless coverage is improved, we notice improved network stability and significant improvement in terms of roaming as well. Our test devices are able to switch to different APs almost instantly we walk into another room. Well, the shortcomings will be the software experience as the setup process is slightly longer than normal routers and the app is not that responsive at times. We hope new software updates can make this better. But, if you manage to get it up and running, it is a great mesh WiFi system. It offers good performance and a bunch of features that we like and that include the AiProtection and full Unifi with HyppTV compatibility. 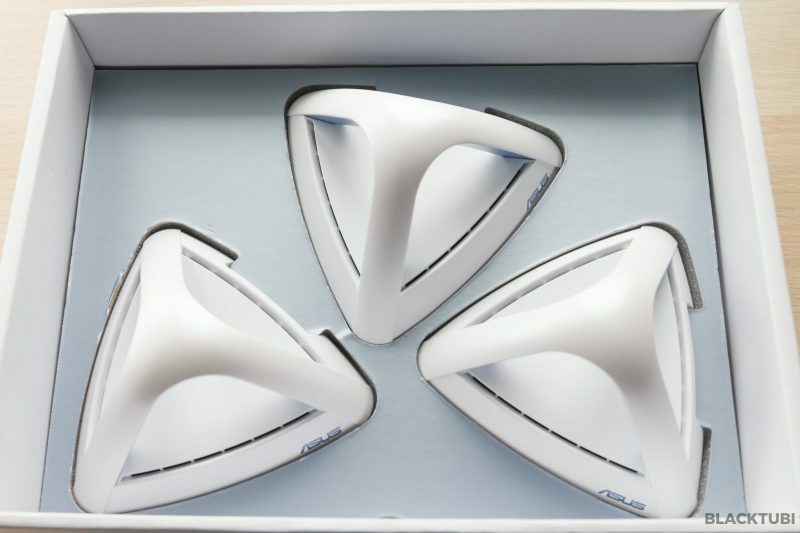 We also like how AiMesh will allows a more flexible mesh WiFi and conveniently the single pack Lyra Trio is the most affordable AiMesh router out there. Asus second generation mesh WiFi system is significantly improved with much better performance and stability.